Hedges need regular trimming to keep them within their boundaries. Pruning times vary depending on what type of hedge you have. When’s the right time to prune? When we prune hedges we check that there are no birds nesting, it’s an offence under the Wildlife & Countryside Act 1981 to damage or destroy the nest of any wild bird while it is in use or being built. The bird nesting season is usually from 1st March to 31st July. 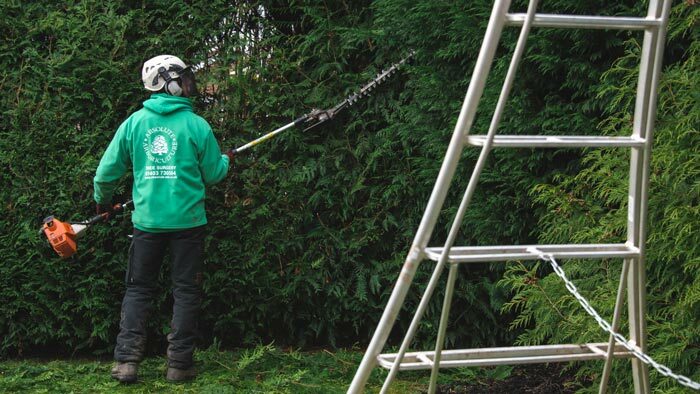 We also try and avoid trimming conifer hedges after August, as this tends to encourage bare/brown patches to develop in the hedge.